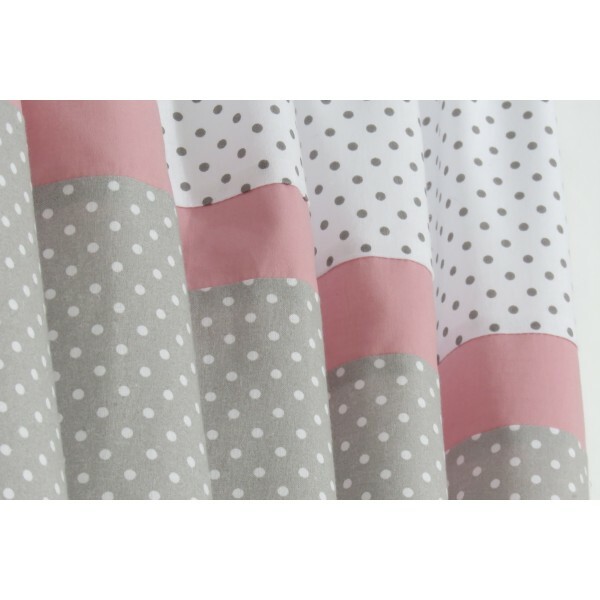 Oeko-Tex certified grey and white polka dot pure cotton curtains with an organic cotton stripe in dusty pink. French pleat header with a blackout lining and a set of tiebacks. (Two panels). 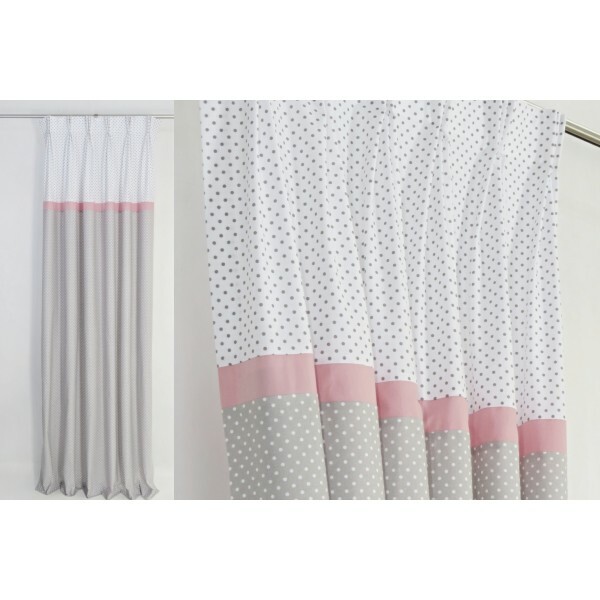 Grey, white and pink is one of a very trendy and classy combinations for a nursery decor. 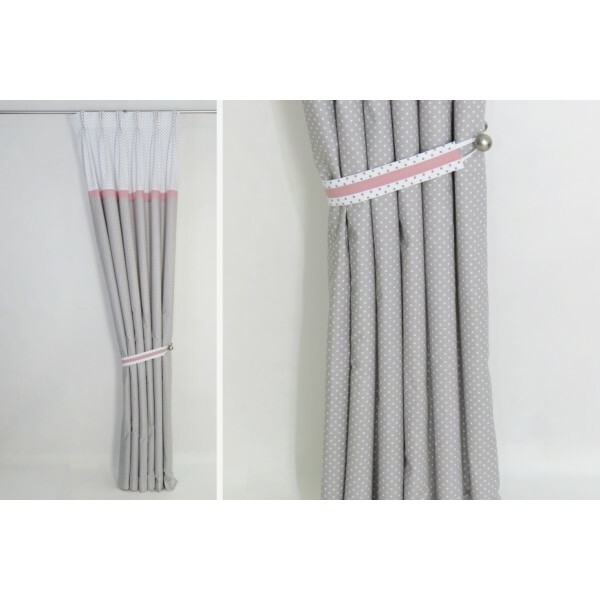 Using this colour scheme as an inspiration, we have created classic French pleat curtains. 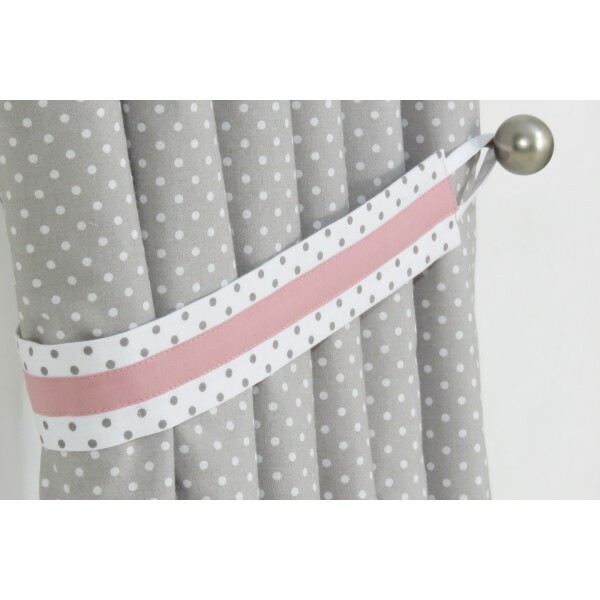 By combining modern colours with this timeless pleating style, the outcome is very elegant and orderly curtains, perfect for a little baby girl or a toddler's room. 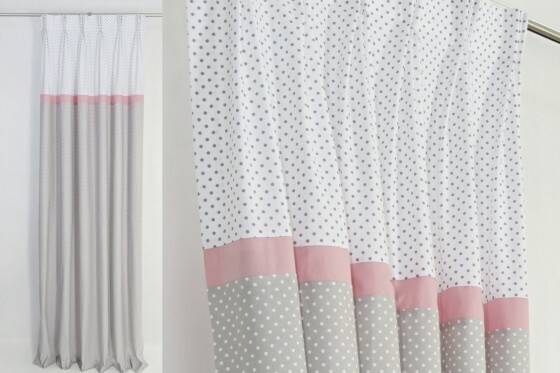 These curtains have been made using Oeko-Tex certified pure cotton in white and grey polka dot with an organic cotton stripe in zephyr (dusty pink). This is a medium weight fabric and works best when combined with blackout lining, unless you are looking for very airy and lightweight effect. French pleat header. Single French pleat panel covers 27" (69cm). If you need to cover wider space then please contact us as we can make wider panels on request. We can also make this design using eyelets and tabs as headers. 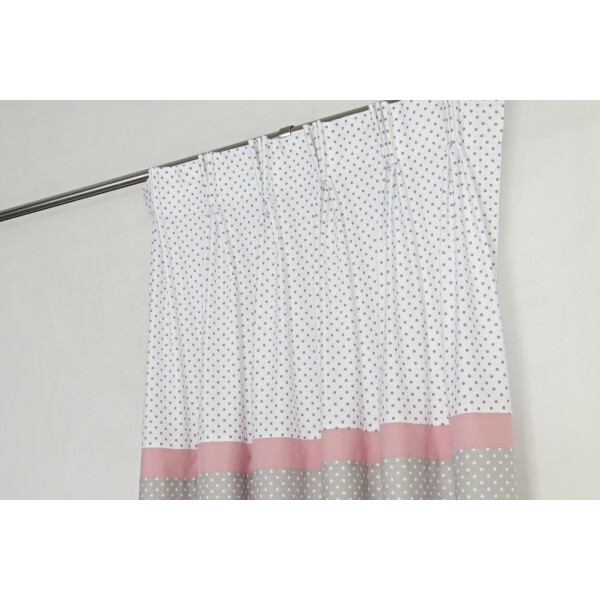 Eyelets header: Each single panel measures 55" (140cm) and it covers approx up to 43" (110cm) when drawn. Tab top header: Each single panel measures 55" (140cm) and it covers approx up to 55" (140cm) when drawn. 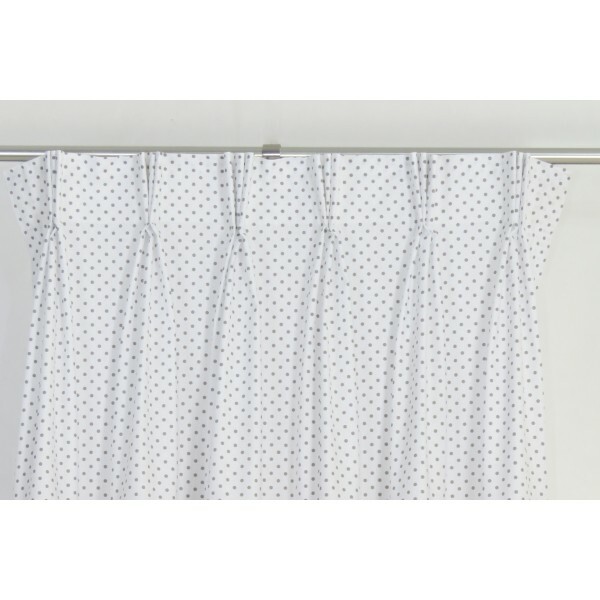 Tabs are suitable for poles up to 1.5" (3.8cm) diameter. Each tab has individual tape lining for effortless sliding. If you would like longer or shorter tabs, please let us know.